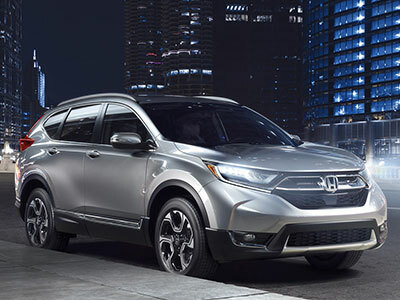 The 2018 Honda CR-V and Mazda CX-5 are two of the biggest-selling models in one of the current market's most popular and profitable segments, the midsize crossover. Both have recently been redesigned, so let's take a closer look to see which is the better buy. Regardless of what a lot of people will say, the main reason why so many of us choose crossovers these days is because we like the way they look. That's why the exterior styling is so important when it comes to narrowing down choices. 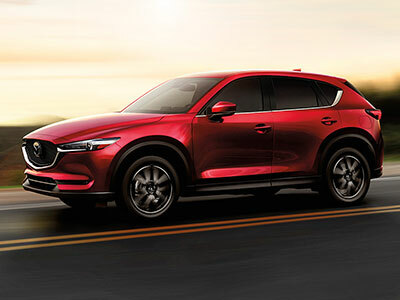 Mazda's styling has gotten better and better over the last few years and the new CX-5 is no exception. Like the smaller CX-3, it's hard to argue against the CX-5 being the best-looking model in its segment. It's sporty, sleek and futuristic, but with becoming a polarizing as something like a Lexus. If there's a weak point for the Honda CR-V, it has to be the exterior styling. This latest version is a further step in the right direction, but despite recent improvement, this is an area where the Honda is distinctly second best. The situation is pretty much the exact opposite when you then compare the interiors of the Mazda CX-5 and the Honda CR-V. Like the Honda with its exterior, Mazda has done some good work improving the cabin of the CX-5 from the last generation. It now has wider-opening rear doors and a reclining second-row as part of standard equipment, but it falls well short of the Honda for the quality, space, style and quality of its interior. The individual measurements don't suggest a huge amount of difference between the two, but as the Honda is slightly more spacious in almost every way, it all adds up to a much more spacious feel inside the CR-V. Hard plastics have given way to soft-touch materials through all trim levels of both models, but the Honda is easily the better of the two in this important area. The standard is extremely high these days when it comes to tech and infotainment features in our new vehicles, especially family-focused crossovers like these. To be fair, what's offered here is pretty similar in the CR-V and CX-5, but the Honda has a big win over the Mazda at the entry level. That's because the CR-V supports both Apple CarPlay and Android Auto across the entire range, but base versions of the Mazda currently do not. This is hugely important because it means the vast majority of buyers can be confident the CR-V will connect seamlessly with their mobile, while it could rule out entry level versions of the Mazda for some potential buyers. At the entry level at least, the cost to buy one of these two is absolutely identical at $24,150. That means fuel efficiency is where we have to look to decide which of these two is going to be more affordable to run. Front-wheel-drive versions of the CR-V with the 1.5-liter turbo engine are rated at 28 mpg in the city, 34 mpg on the highway, and 30 mpg combined. Even with its new cylinder deactivation system, the best the Mazda can offer is 25 mpg in the city, 31 mpg on the highway, and 28 mpg combined. The Honda clearly has the advantage here. If someone is buying on looks alone, most will opt for the Mazda CX-5. However, if all-around quality, value, and practicality is what's important to you, it's easy to see why the 2018 Honda CR-V is one of the biggest-selling SUVs in the world.